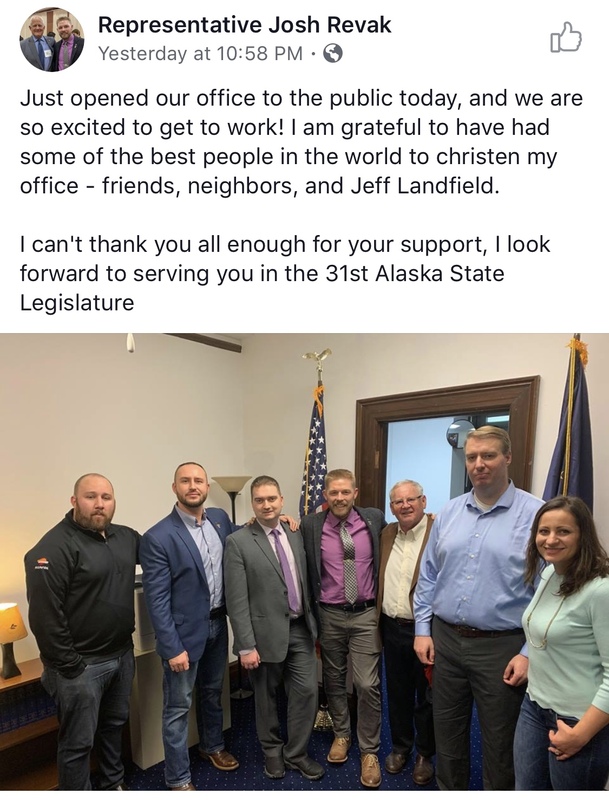 Yesterday was the first day of the 31st Alaska Legislature. 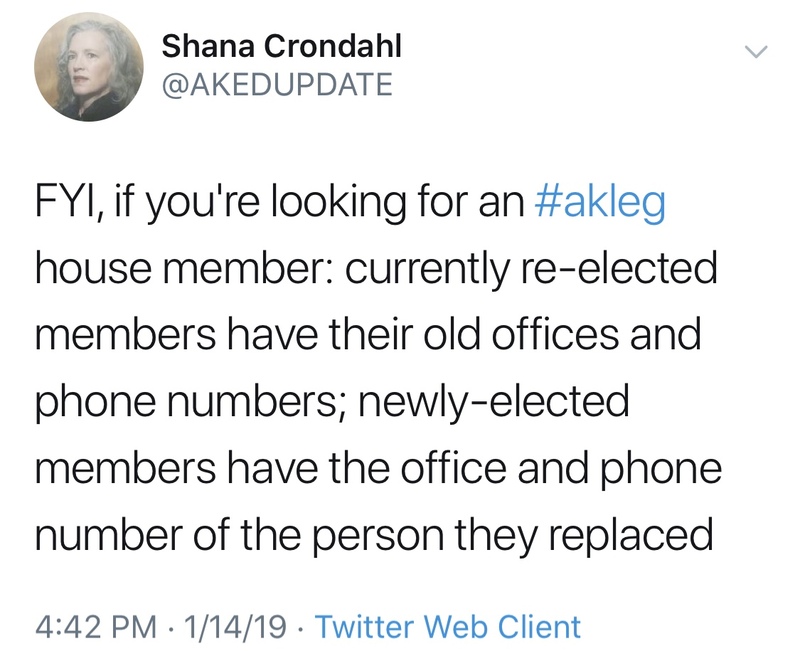 There might not be a Speaker, majority, or even a Representative in District 13, but there’s a hell of a lot to make fun of. 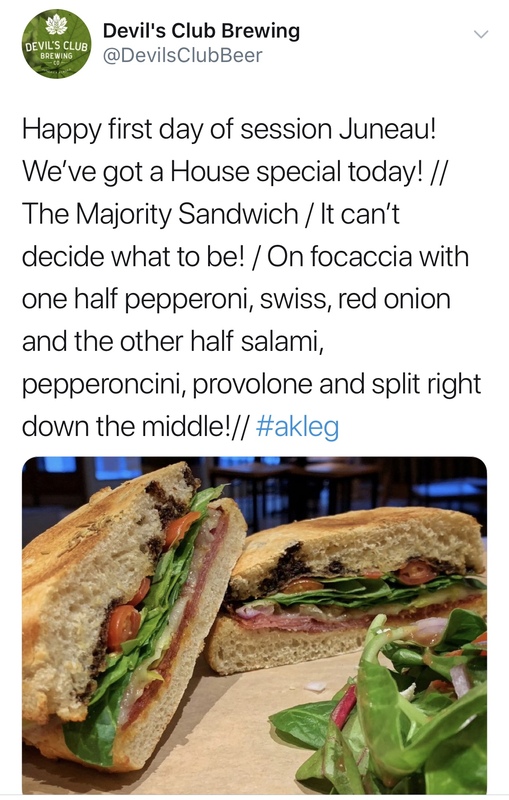 Even a local Juneau sandwich shop got in on the fun. There are some pretty funny awkward unintended consequences when there’s no majority. 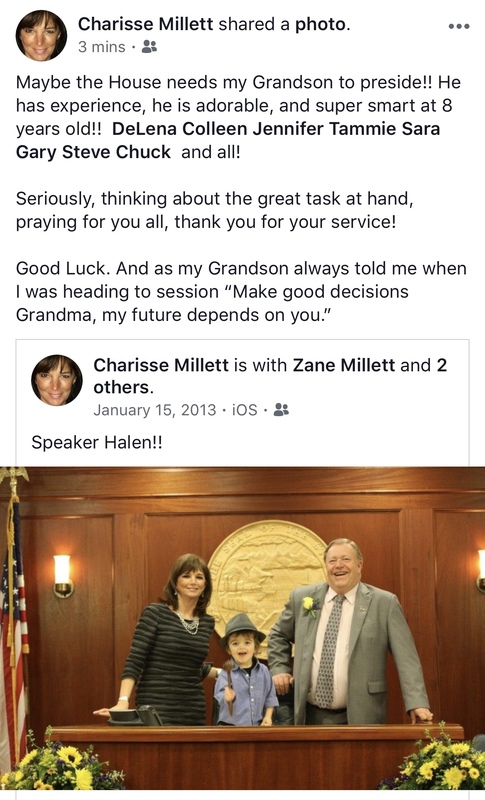 Example: newly elected Representative Josh Revak in the old office of his opponent, former Representative Charisse Millett, with former Representative Dan Saddler’s flags. And Jeff Landfield, natch. 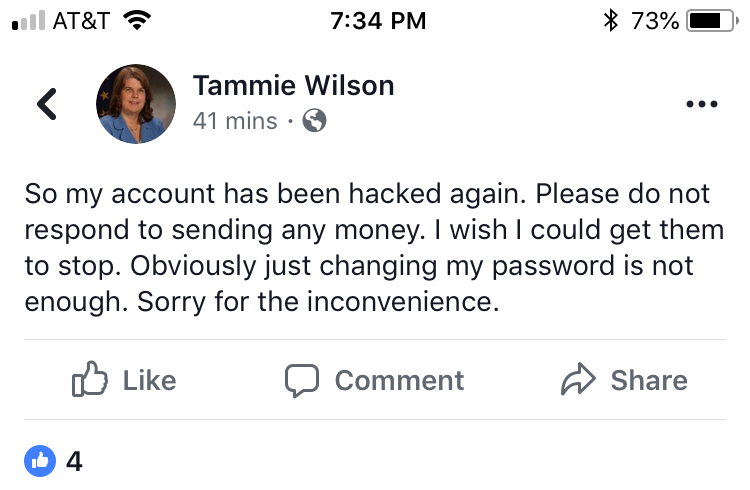 In the midst of no majority, not being able to confirm Sharon Jackson, staffers not getting paid, and no one being able to switch offices, this happened. 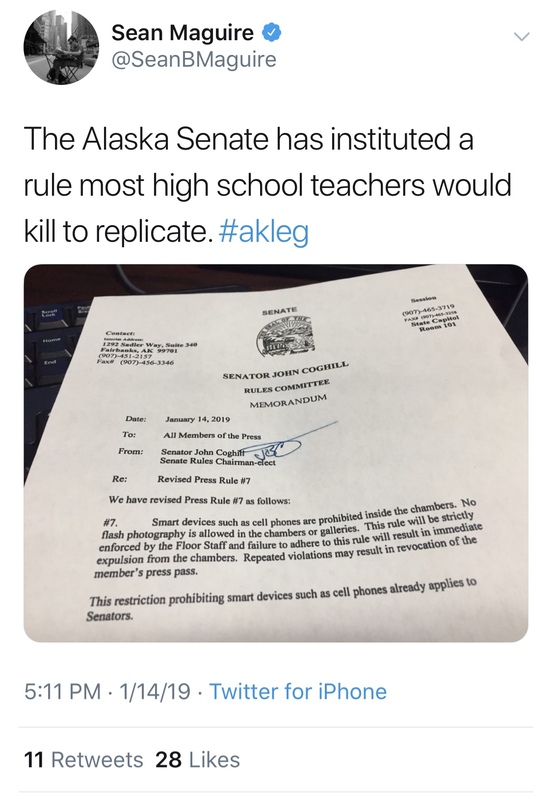 Excluding Senator Coghill, does anyone else think this is a good idea? 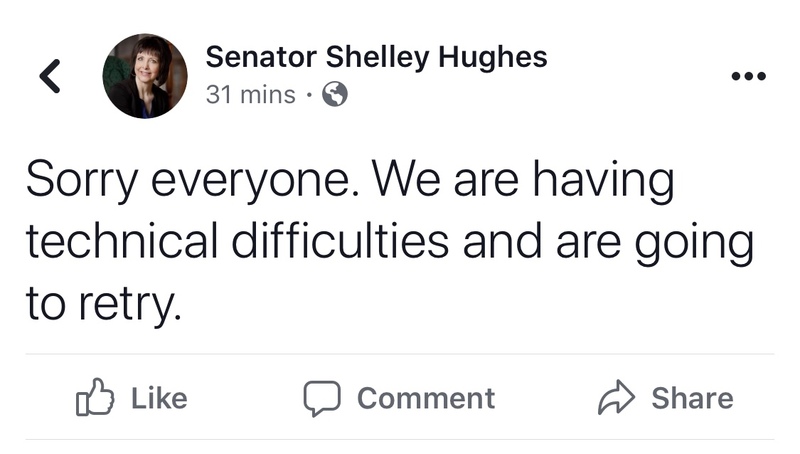 In the end, Senator Shelley Hughes might have the best idea. Why don’t we just have a do over? 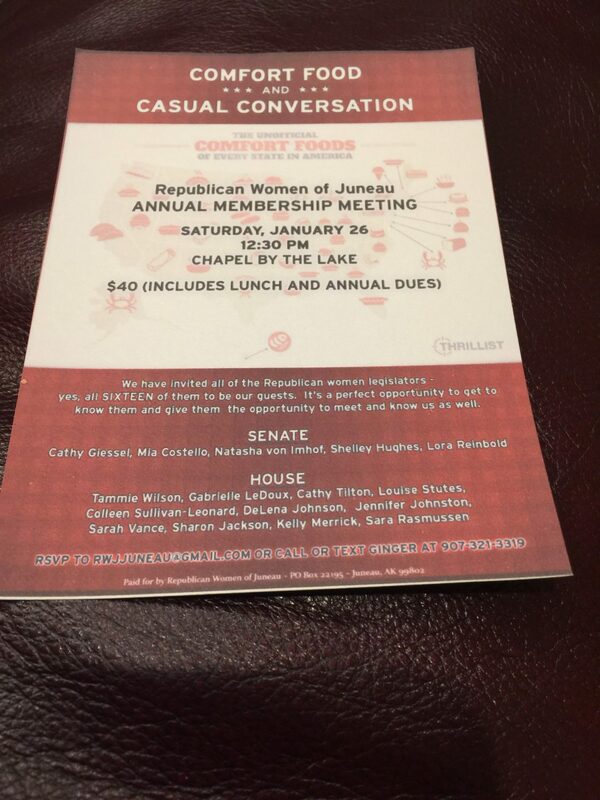 Nice to see the Republican Women of Juneau buried the hatchet with Representatives Ledoux and Stutes. 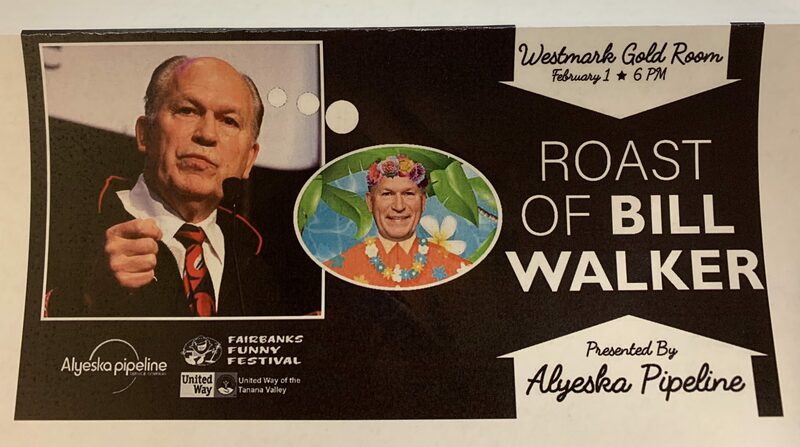 But… Who decided the pecking order that women legislators would appear on this invite? If Senator Giessel and Representative Wilson being listed first was intentional, what about the rest? Poor Lora and Sara. 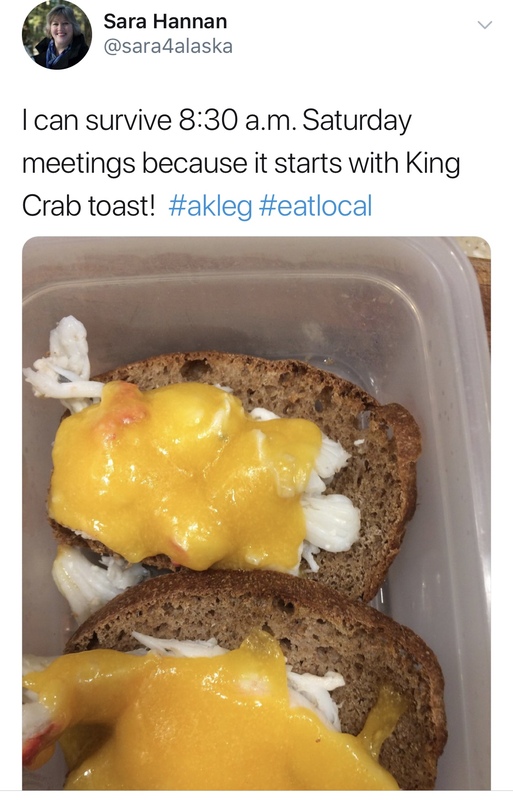 If avocado toast is the reason millennials can’t afford to buy a house, is King Crab toast the reason Alaska’s legislators can’t figure out how to cut the budget? OMG! 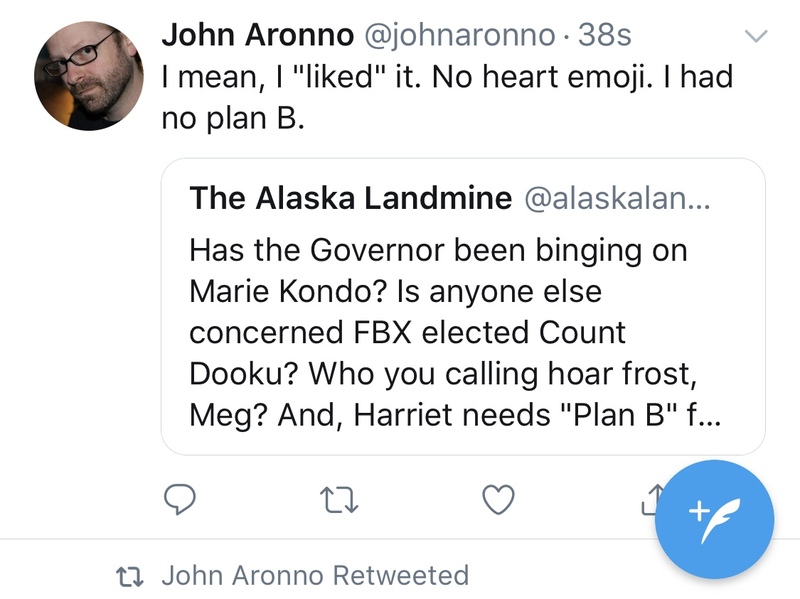 Will Alaska Airlines let me fly to Fairbanks at 38+ weeks pregnant? 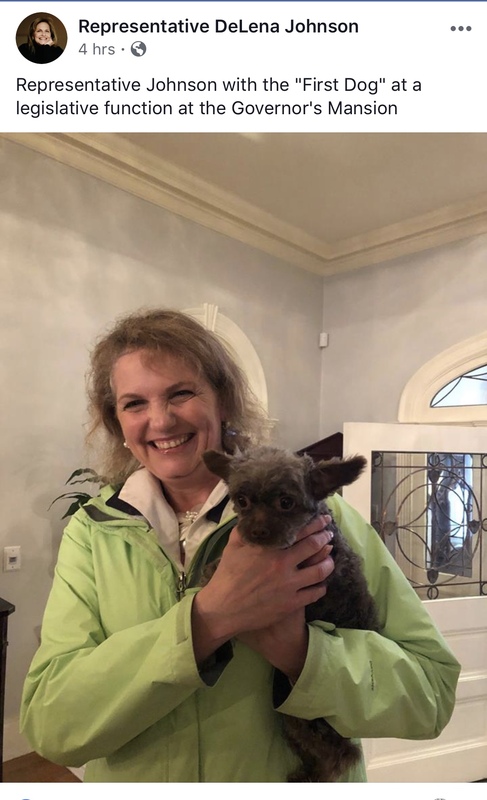 Former Representative Charisse Millett has a cute and creative solution to the gridlock in the House. Awwwwww. 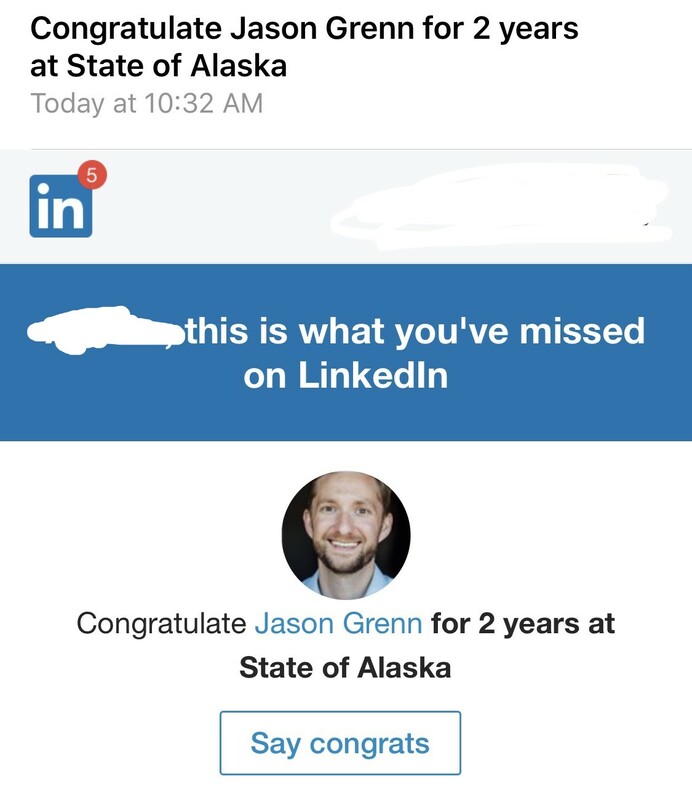 Speaking of former Representatives… This is awkward. 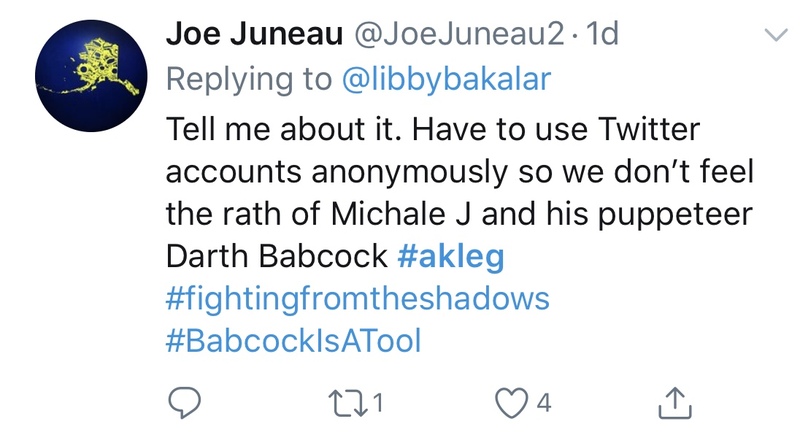 Apparently state employees are so oppressed under the new Michael J. Dunleavy regime they have to resort to anonymous Twitter accounts to call the Governor’s Chief of Staff mean names. We live in truly dangerous times. 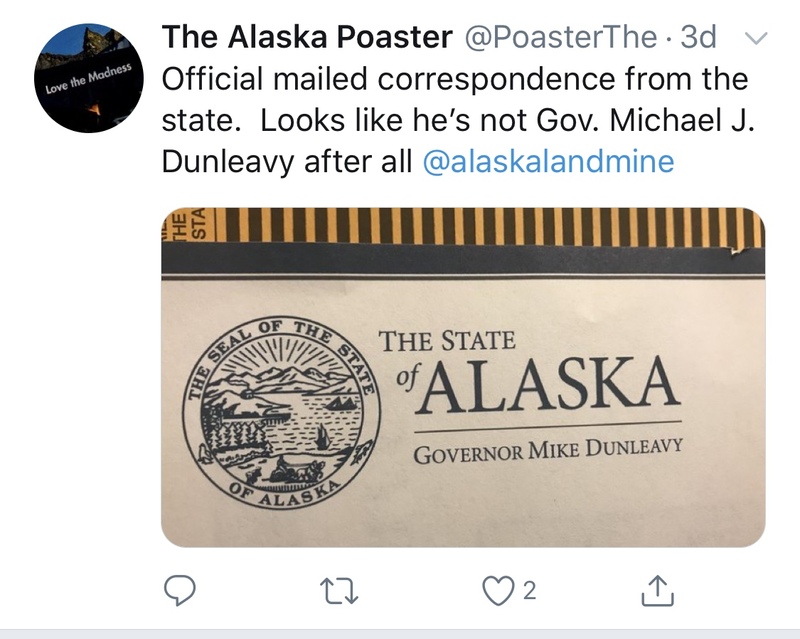 Wait a minute… Is Michael J. Dunleavy middle-initial-gate #fakenews?!!! Or is this just the old stationary? Squeeeee! Who is the first dog and why haven’t they made an appearance on the Governor’s official Instagram? 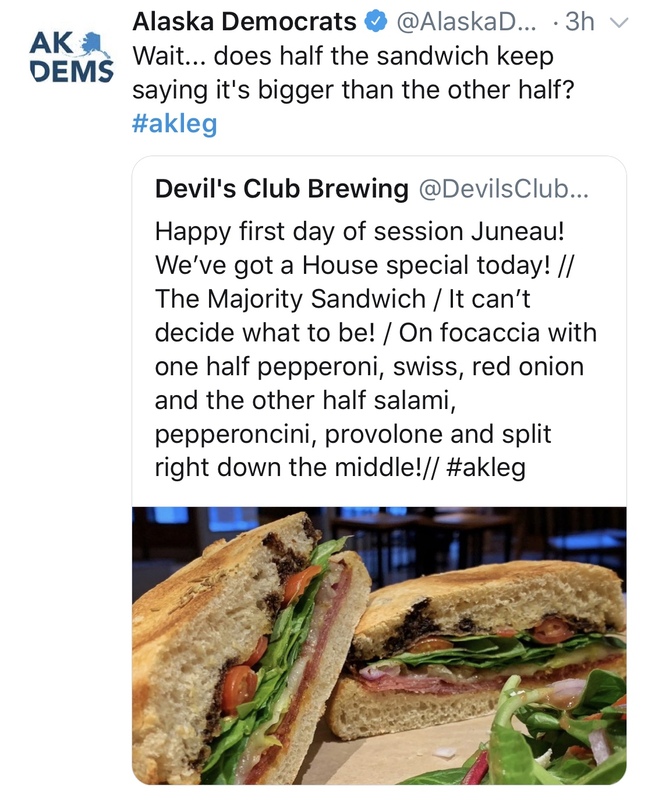 Major social media fail by the Governor’s team. We deserve complete first dog transparency! 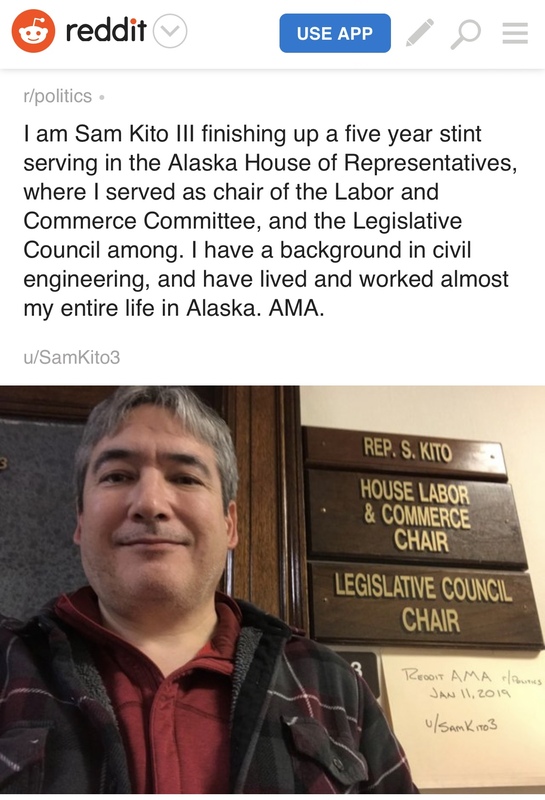 And in case you missed it, here’s former Representative Sam Kito’s Reddit AMA. Why tho? 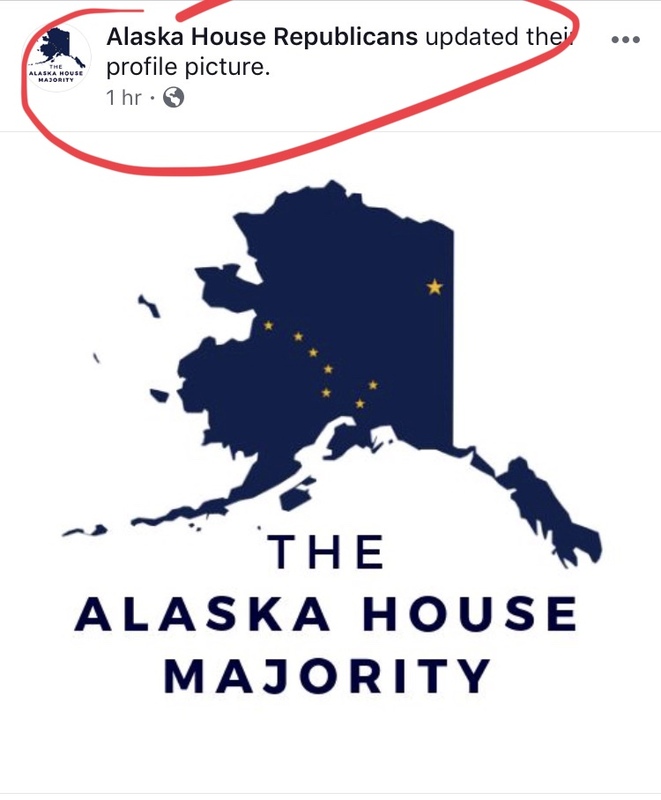 Looks like Conservative talk radio host Dave Stieren is a joke thief fan of Libby “I’m suing the Governor” Bakalar. They say imitation is the sincerest form of flattery. Honestly, we wish we were half as funny as Libby. 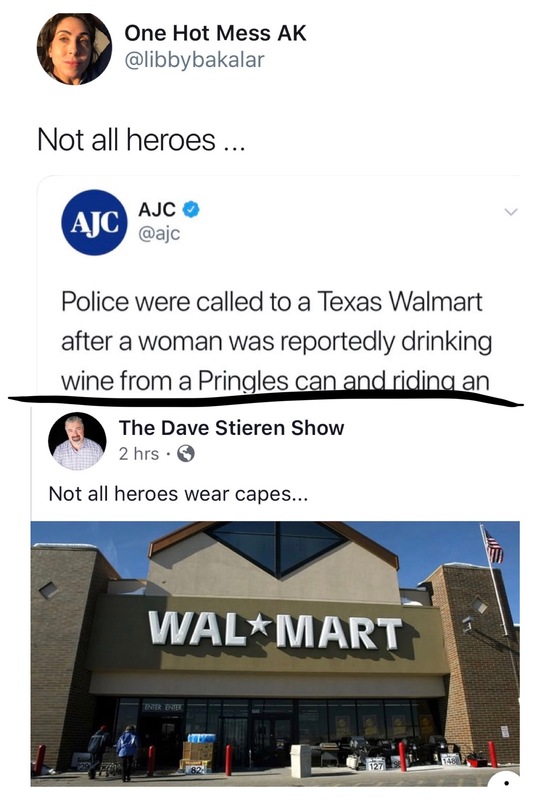 She has a gift. But it’s hard to stay mad. 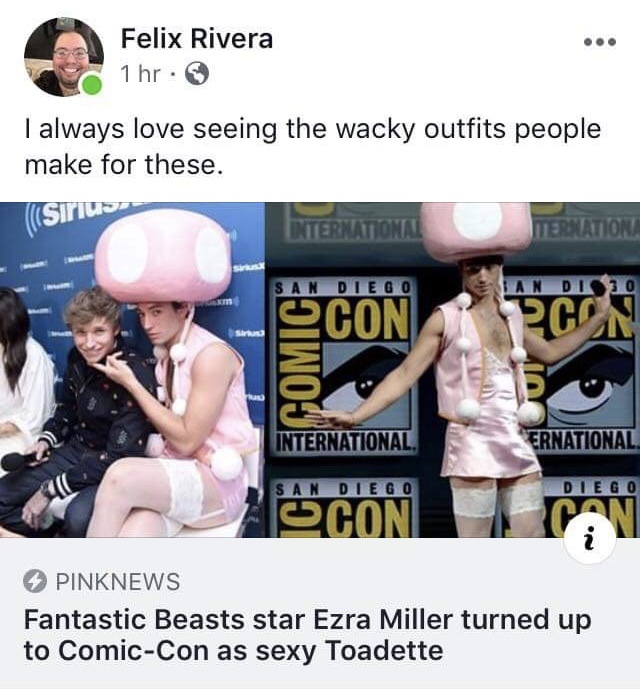 I always love seeing Felix’s wacky Facebook posts. 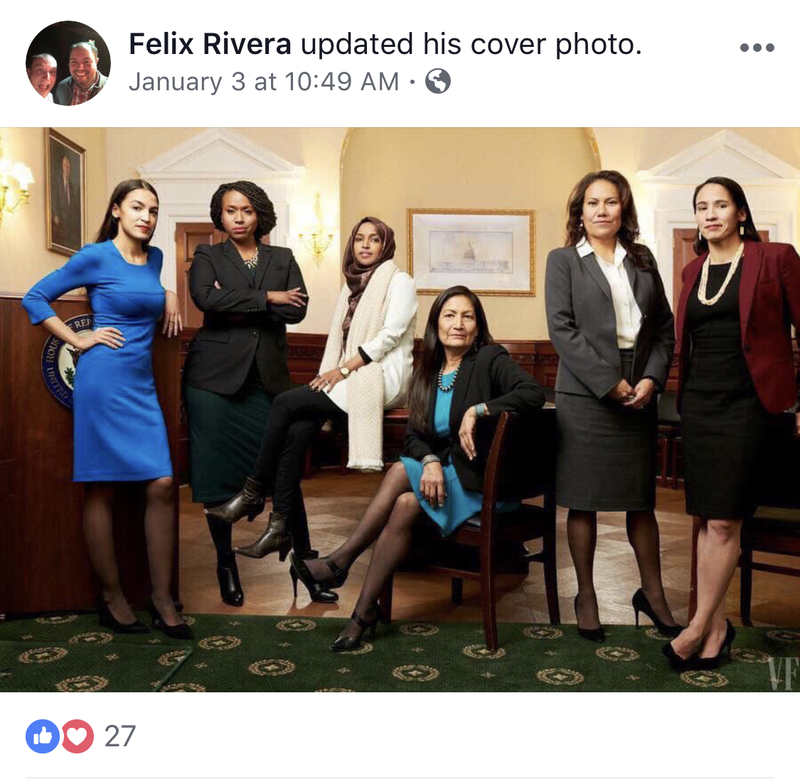 And his cover photo choices. 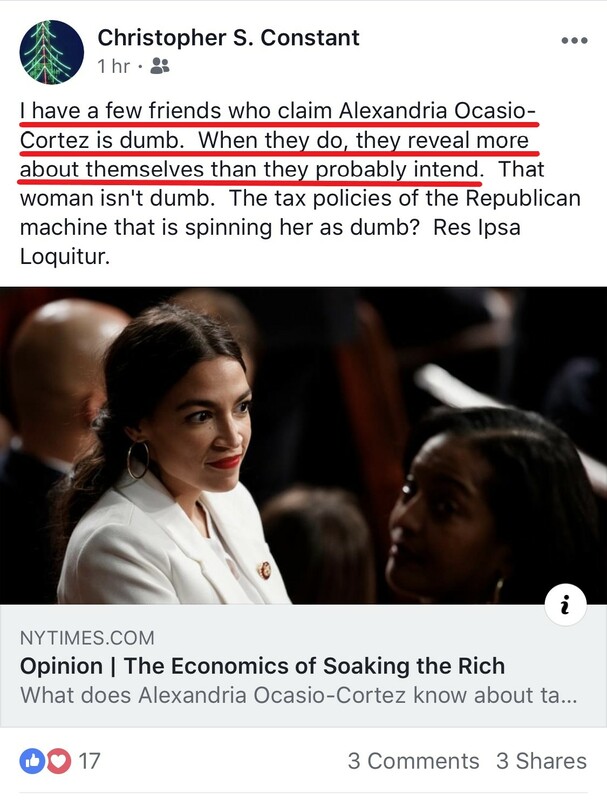 It seems Anchorage Assemblymember Christopher Constant is also fan girling hard for rising star, Democrat Socialist AOC. 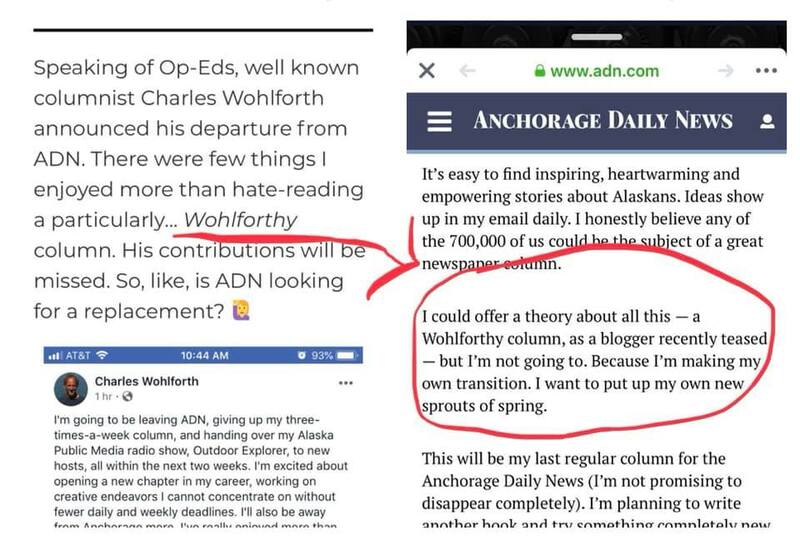 And, to use his own words: revealed more about himself than he probably intended in a post later that week. Maybe we shouldn’t be so hard on Chris. After all, he’s one of “those people” who has one-sided shouting matches on Twitter with the his President and Lindsey Graham 2.0. I’m embarrassed for him. 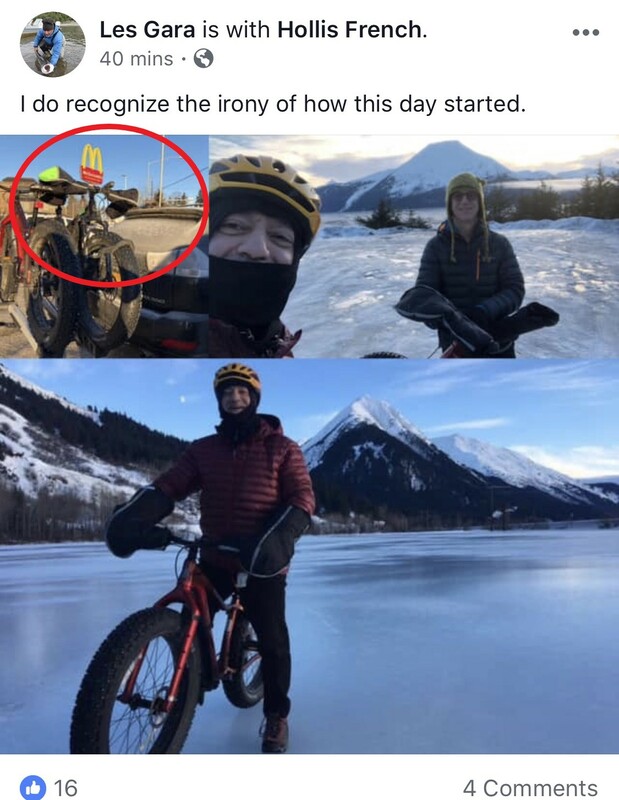 Ba da ba ba bah, I’m lovin’ it. *Also, as I was uploading this photo to the Landmine I somehow accidentally goofed. And now my family computer’s desktop background photo is of Les Gara and Hollis French. And I don’t know how to change it back! Send help! Thanks for reading, John! We’re allowed some artistic license. Representative Harriet Anagnostis Drummond asking Representative Sara Rasmussen who she was working for this session. 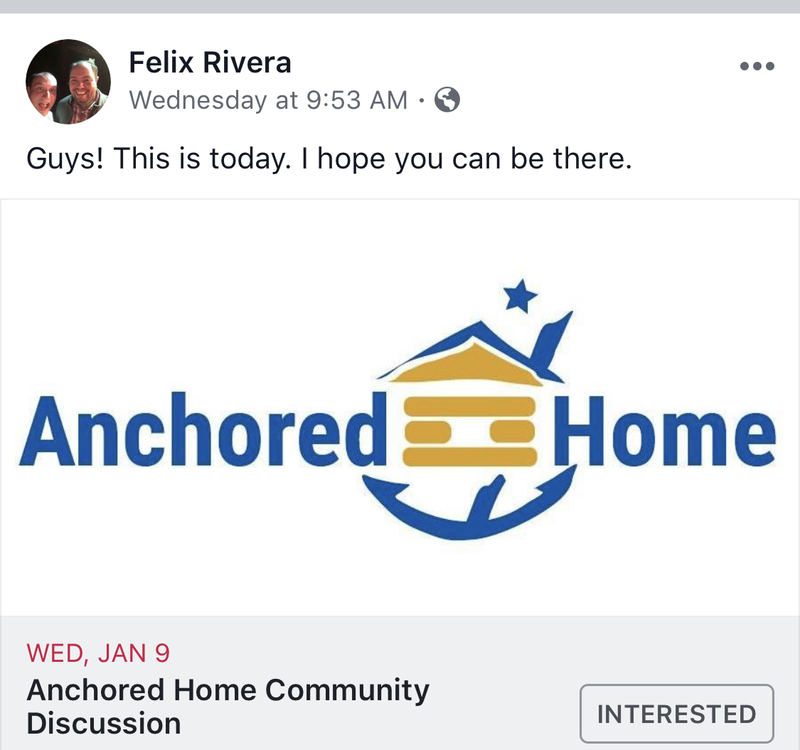 In all fairness, we also heard that a page told Ms. Rasmussen “only legislators could go on the floor.” And Senator Elvi Gray-Jackson was told “only legislators were allowed in the lounge.” Sheesh! Check out Jeff’s Landmine piece, I’m sorry Ms. Jackson, Republicans are for real, here. Linda Kellen Biegel and Jeanne Devon. Senator Donny Olson and his lovely wife. Must be nice! Senator Chris Birch, Representative Chuck Kopp, and their wives having dinner. 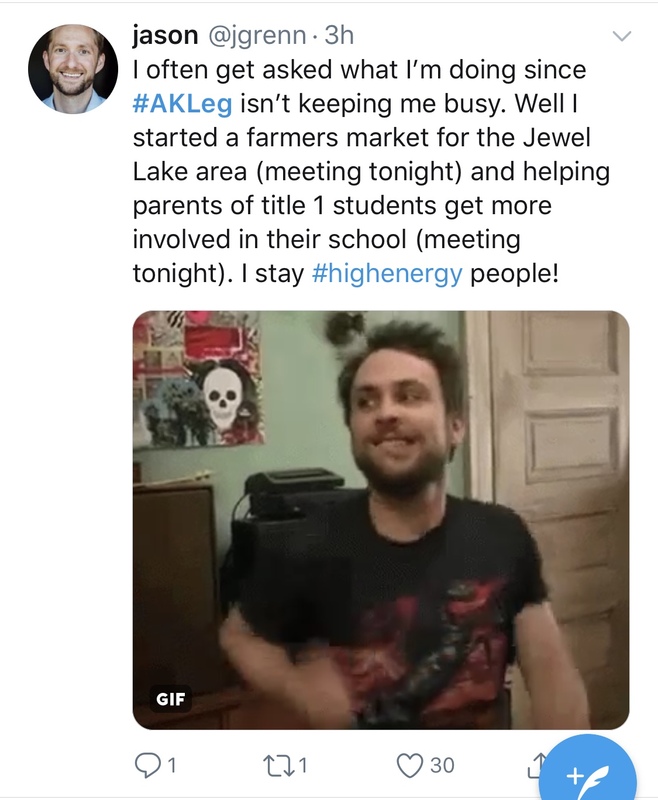 Representative Josh Revak (it never gets old!) celebrating with his wife, staffers, friends, and Jeff Landfield. Representative Jesse Kiehl was there, too. Spotted in Juneau: A young staffer caught eavesdropping on some offices. 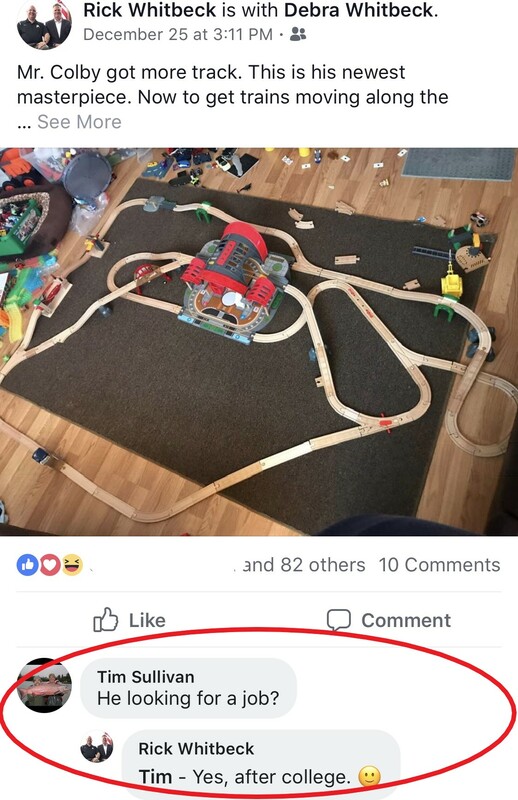 Like father like son, eh? Representative Sara Rasmussen defriending Jeff Landfield. You go girl! 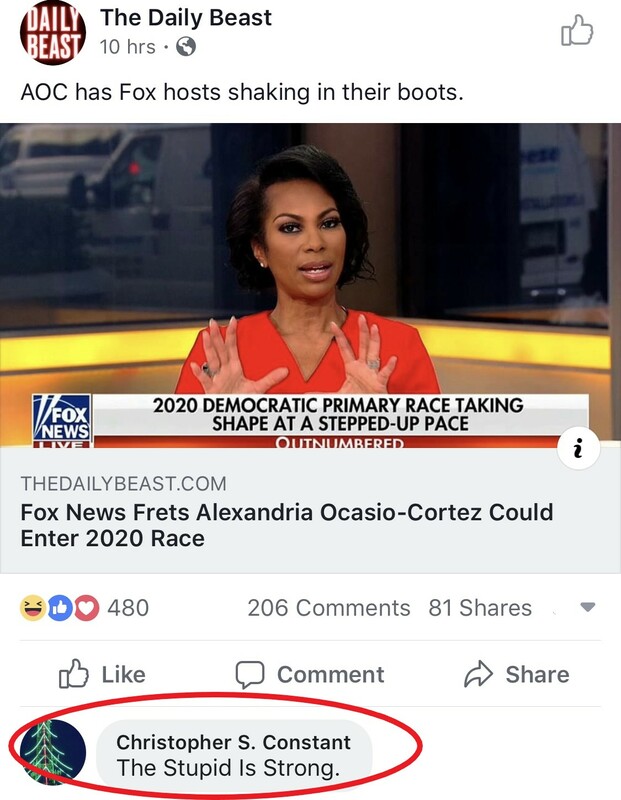 LOL Sara R. is salty. Lame!